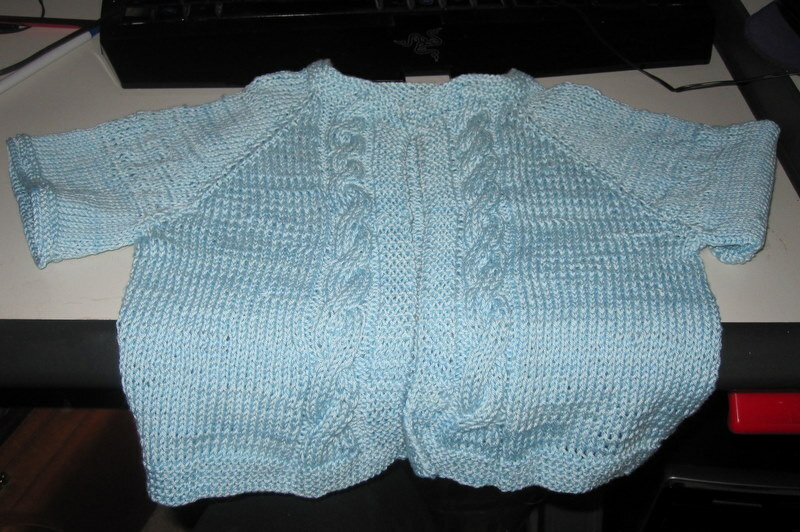 This is the first baby sweater that I've ever made, and I made it for little Omar, Omar and Rosa's first son. I used the Cabled Raglan Sweater pattern from the 7 free baby knitting patterns that I downloaded from knittingdaily. It's on it's way to little Omar.